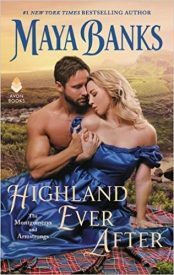 In this historical romance series, desperate power struggles reverberate throughout the Scottish Highlands. At the center of it all are two clans—the Montgomerys and the Armstrongs. In a world of battle lines, politics, and strife, marriage can be a powerful tool, but what starts as a conquest, or machination of state, will end in passion. Physical Description: Tiny, almost fragile in appearance. Honey-blond hair, vivid blue eyes with long lashes. Physical Description: Unruly, medium-brown hair. Tall, broad-shouldered. Very deep voice. Physical Description: Dark hair, vivid blue eyes. Physical Description: Long, dark-brown hair. Green eyes. Disfiguring scar on one cheek.